This vinaigrette is just plain delicious. Quite frankly, I would be happy eating it with a spoon. Or simply bathing in it. What? But then you throw smokey grilled steak, creamy bleu cheese, chewy bread and crunchy radishes into the mix? Lord help me. 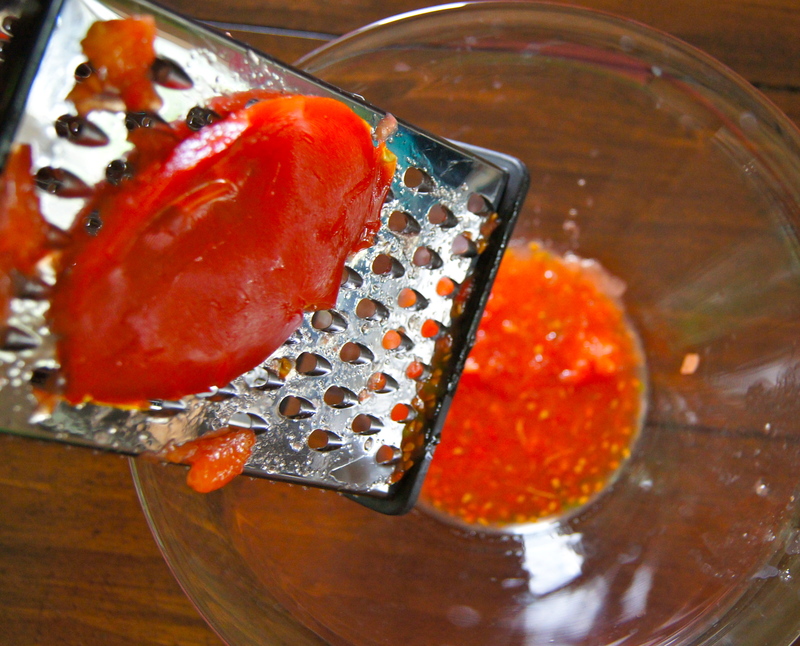 Make Vinaigrette: Grate the cut sides of the tomato into a medium bowl until you get down to the skin, toss the skin away. Add shallot, balsamic vinegar and 1/4 teaspoon salt. Whisk in 1/4 cup olive oil until well combined. Set aside. Can be refrigerated and chilled up to a day in advance. Grill Steak and Bread: Heat grill to moderately high heat. Brush both sides of the steak with the vinaigrette and place on the grill. Cook, with the lid closed, for 5 minutes. Flip steak over and cook for an additional 5-7 minutes or until desired doneness; my cook times should yield a medium rare steak. Remove from heat and let rest for at least ten minutes before slicing. While steak is resting brush both sides of the bread with the remaining tablespoon of olive oil. Place on the grill and cook until nicely toasted and starting to char, about 2 minutes per side. Build Salad: In a large bowl break up the toasted bread into cubes. Add arugula and radish and drizzle about 2 tablespoons of the vinaigrette on top. Gently toss with your hands and add more vinaigrette as desired. 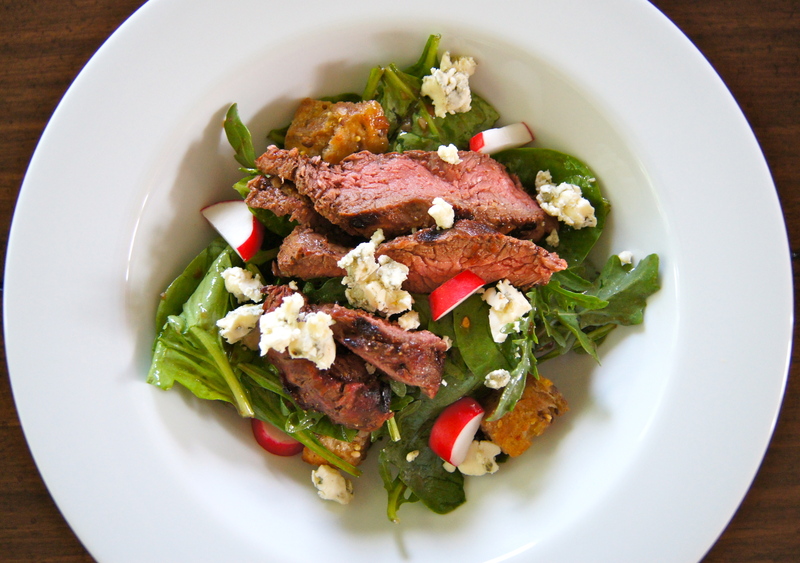 Distribute salad amongst 2 dishes and top with bleu cheese and sliced steak. Serves 2 as a main course.